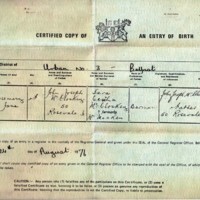 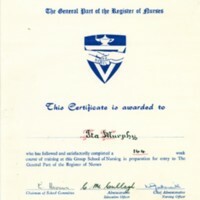 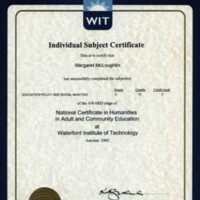 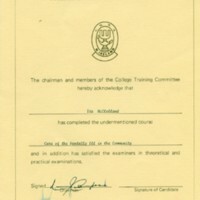 Certificate for Education Policy and Social Analysis at the Waterford Institute of Technology awarded in 2002. 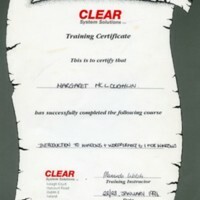 A training certificate for courses in Introduction to Windows and Wordperfect awarded by CLEAR System Solutions in 1996. 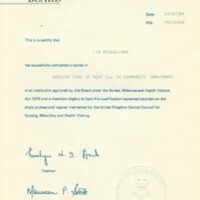 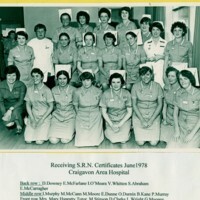 A photo of Ita McClelland receiving the S.R.N. 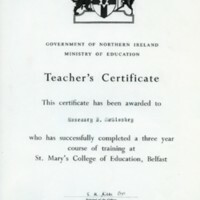 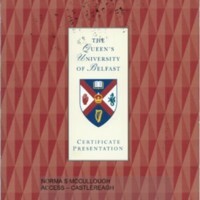 Certificate with her class from Craigavon Area Hospital.